Although I may come across as a beta male, I’ll be the first to admit that I’m no saint when it comes to self-centeredness. I sit somewhere between the egoless Mother Theresa and egomaniac Donald Trump. Self-care and a healthy application of “treat yo self” are essential for those of us in care-giving professions, but the line between Trump and self-care isn’t always so clear. The very fact that I blog probably means I’m more of an egotist than I care to admit. All that to say: as much as I dislike people with bloated egos, I’m guilty too. Perhaps ironically, the local church tends to be a gathering place for narcissistic personalities. I don’t think it’s a cause of religion, but rather that churches are always looking for volunteers and workers and will gladly give leadership positions to anyone who might be willing, despite their character deficiencies. Of course that isn’t always the case, but in the church funeral that I worked today, the church appointed funeral concierge had an ego the power and size of a supernova. John was horrible (name changed for obvious reasons). When we arrived at the church to set up for the funeral, John (who is a church deacon) decided it was his job to micromanage our every move. I’ve seen Johns throughout the course of my ten year career. In my personal life, I keep a healthy distance from those that tend to overly assert themselves and their opinions, but in my professional life I have little choice but to work with and even attempt to serve those with caustic narcissistic propensities. There’s been a couple Johns that have been so overbearingly bossy that they’ve even made the family members cry. I remember one such John tell a young granddaughter, “You can’t wear a skirt above the knee in this church!” Unfortunately, she wasn’t wearing “no run” mascara. This John didn’t make anyone cry, but he was a talented John. He was able to simultaneously dish out commands while bemoaning the fact that one of the “irreplaceable” glass vases on the church sanctuary chandelier was broken by the “stupid cleaning lady.” He managed to tell most of the family members that “his” glass was broken (he also continually called the church “his” church) and he can’t imagine how people can be so insensitive. By the time the service was about to start, John was barking about how I was to put the pall on the casket and at this point I lost my funeral director cool and responded, “Do you want to put the pall on yourself or are you just interested in bossing me around?” He snorted and whispered something under his breath. To contrast John, the congregation was full of a special and select group of individuals who rarely seem to be tempted by the lures of power. The deceased person (named Jennifer) had Down syndrome and all of her friends had come to say their final good-bye. Most of the people I know with Down syndrome have a beautifying effect on their family and friends. It’s not necessarily because DS produces more happiness (studies show that depression plagues those with DS), nor is it because caring for someone with DS makes everything easier (although there are reports that divorce rates drop in families that have a DS member), but it seems that position prominence, egotism and power hunger have little persuasion on these treasures of humanity. 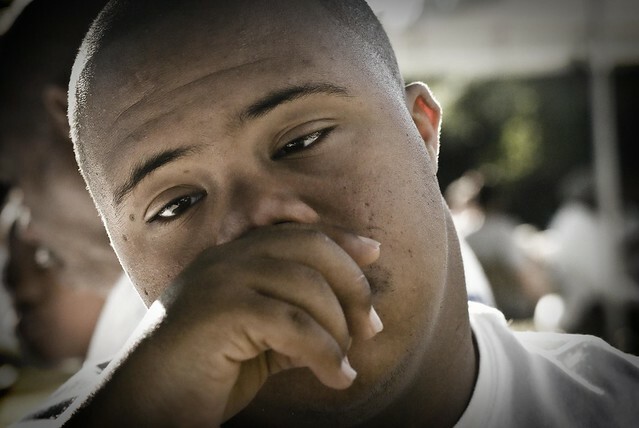 It’s as if that extra chromosome 21 provides a trade off where there’s less mental capability but more character capacity, as it provides immunity to those things that make people into assholes. The contrast was very stark. They often are at funeral as people let down their nuanced guard. On the one hand there was John and on the other hand there were people who could care less about power and control. And the reminder that love is better, more human and more meaningful than power was also on display. This funeral was for a small girl with Down syndrome who didn’t have any power connections in life. She wasn’t a supervisor at her job, she didn’t hold any church positions, nor was she known to be an authority in any field of knowledge. And yet, the church was full. It wasn’t full because of her place in the world, but because of her place in people’s hearts. Love isn’t like math. Basic math is something that is easy to remember. It’s hard to forget that 2 + 2 = 4. But the basics of human connection, like love and empathy, are seemingly so very simple and yet we need to be reminded over and over and over again of their value. Today, the value of love was on display at Jennifer’s funeral. Today, at this funeral, while John was abusing his power at church, the church was celebrating a life that found a way in the world through love. 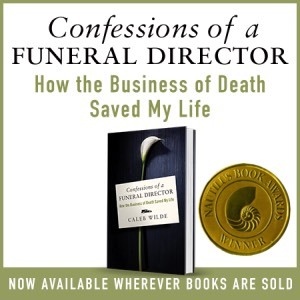 This entry was posted by Caleb Wilde on August 5, 2015 at 3:37 pm, and is filed under Funeral Directing. Follow any responses to this post through RSS 2.0.You can leave a response or trackback from your own site.